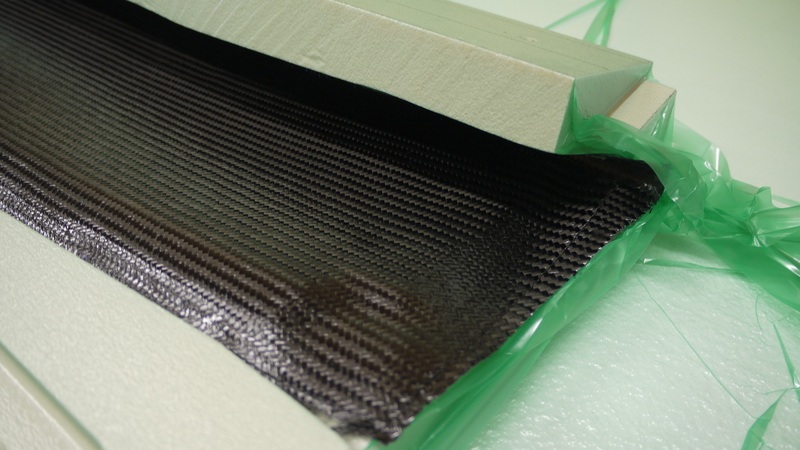 Your standard peel ply/perf/breather fabrics are on top of the carbon. The vacuum for the top bag comes from a standard bag tap. So we’ve got two separate pumps running here – one for the mold, and one for the part. They’re both around 25-26″ of mercury. You’ll get a few more inches of mercury with a bag tube made with bagging tape, but the cost and labor savings of this whole screen spline method are nice. 1. It’s freakishly fast. On small parts, I’ve done a design, mold fabrication, part fabrication and demold cycle in under 24 hours. 2. It’s very accurate. With the EXAscan laser scanner, what you’ve got is a fully digital production workflow. 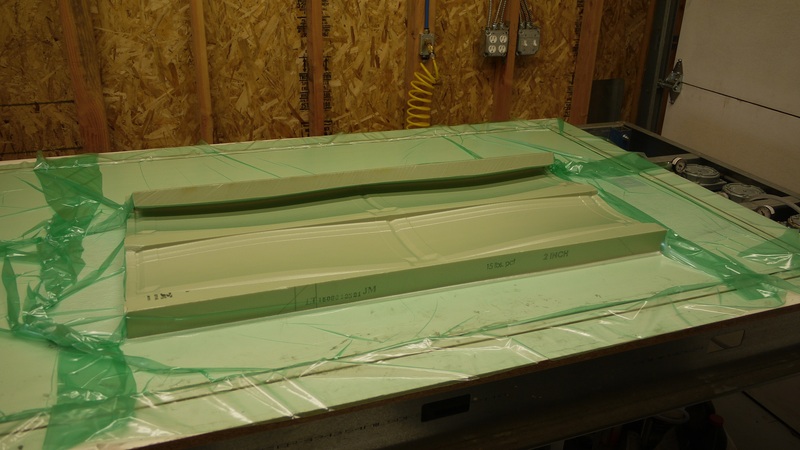 The data goes in on the EXAscan, comes out on a CNC mill, and you do NO hand finishing of the mold. 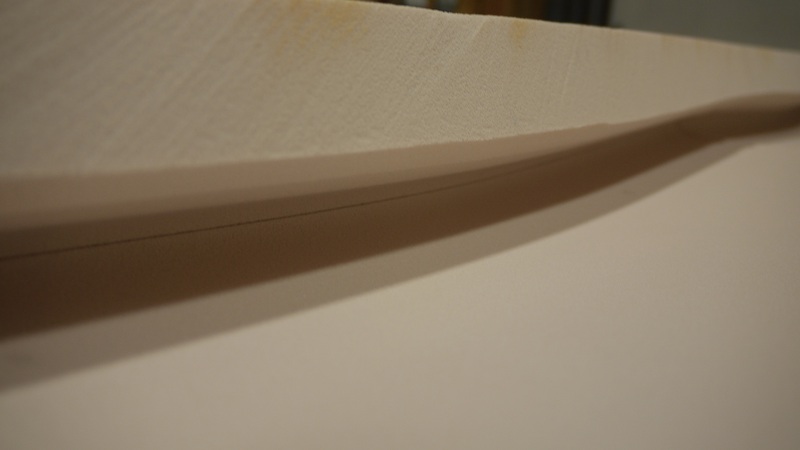 If you need a tight tolerance, hand finishing can quite easily take you out of that tolerance. Of course the same level of accuracy applies to designs that start off in the computer. 3. Far less sanding. The first time I pick up a piece of sandpaper with this method is when I go to put on primer. 1. 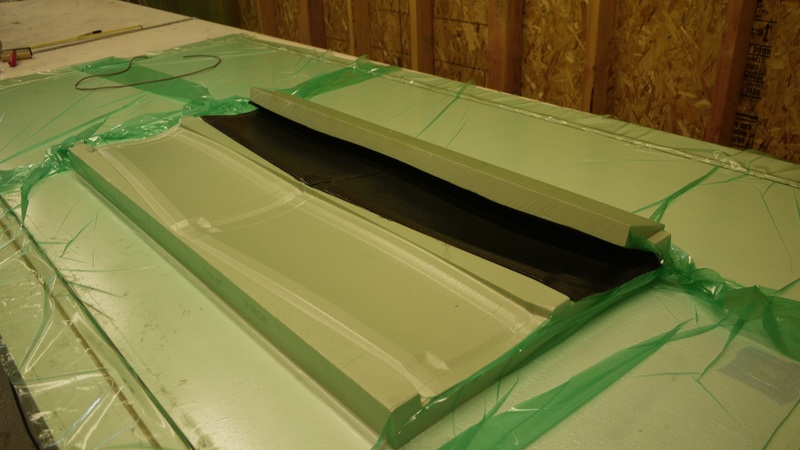 Certainly, if you want to make molds out of cheap boat cloth and polyester resin, The Method will cost more. 2. There is SOME limit to what the Stretchelon can do. Not a lot, but some. 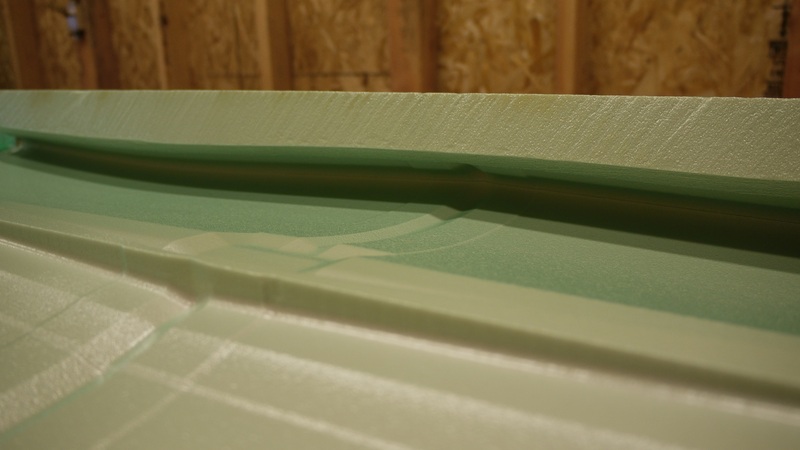 One case in particular – if you have a cylinder that you want to lay up over, the Stretchelon will have a seam somewhere along the length of the mold. So, occasionally you have to be creative. So there you have it – this is “The Method.” I’ve heard rumors of other people doing something like this, but I’m not sure if anyone has taken it to the extremes that I have. I’m going to be outlining a few of the finer points in a few days, and I’m sure people will have some questions, but that’s really the gist of it. Happy 1st Birthday to Better Living Through CNC, and thanks for reading. Enjoy! Just for an impression, could you compare the total cost of your example mold (machining and material) for The Method vs. conventional machining in e.g. corian or aluminium? I suppose you could also machine a plug from the foam, cover it with stretchelon and then create a mold in the conventional way? This would give a ‘hard’ mold but with lower cost for the plug? Thanks Ron! 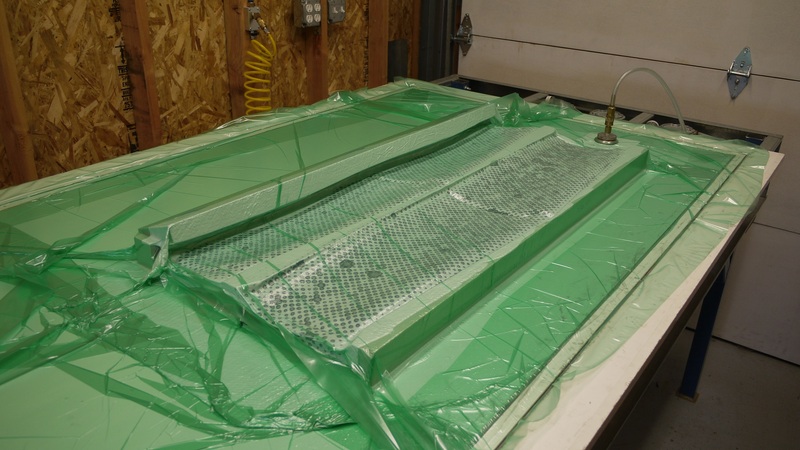 I’m not sure how much more it would cost to do from aluminum or corian – certainly the materials will be more expensive, but I would be the machining would be more expensive as well. I’m using a axis CNC router, and if you’re going to do something like aluminum or corian you’d probably need a much more rigid setup, definitely more of a mill and less of a router. Mills and mill time cost more than routers, and so you’d have to factor that in as well. 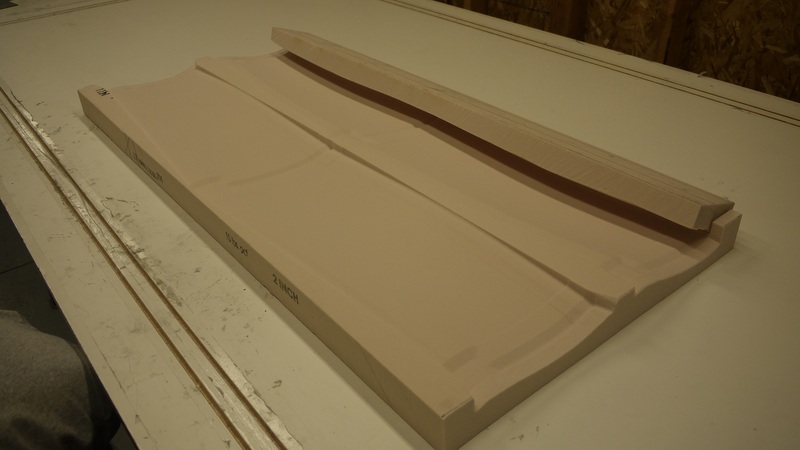 You certainly could use this same trick to make a plug and then pull a mold off of it, but then you’d be faced with having that slight texture built into your mold, which may cause problems with demolding your part and whatnot. 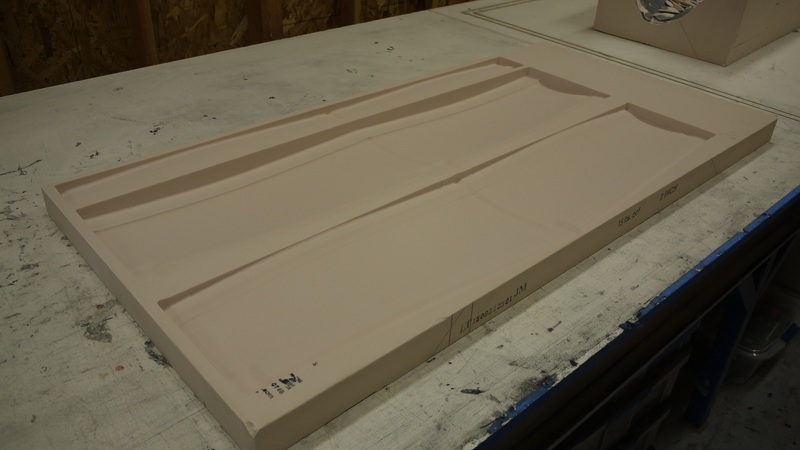 Also, you have to ask yourself the question I always go back to – why make a plug when you can make a mold? I do everything on a 3 axis mill. Thanks! Do you have a post with specifications of your setup? “the setup” really encompasses a lot! What specifically would you like me to elaborate on? Have you built the router yourself or did you buy a kit? The frame and mechanicals were made by a friend of mine back in the 90’s as a one off type of project. I rewired the whole thing, put in brand new electronics and software.